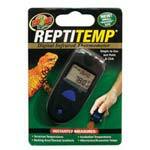 Today I’d like to offer some gift suggestions for the herp enthusiasts on your holiday shopping list. I’ve made my choices with younger folks and novices in mind, but all are useful to long-term keepers as well (indeed, we dinosaurs often stick to “ancient” products and ignore new innovations!). I believe that the products I’ve highlighted are important because they will start hobbyists thinking about concepts that are often overlooked early-on, such as water quality, temperature gradients, UVA, dietary variety and reading materials. Some of my recommendations will need to be fine-tuned to fit individual species. Please post below and see the linked articles for further information, and be sure to add your own thoughts and gift-giving suggestions.